Oh Joy! 's gorgeous Petal Pusher pattern with Hygge & West is my top pick, but I don't know if I can handle the price tag (I need 3 double rolls). 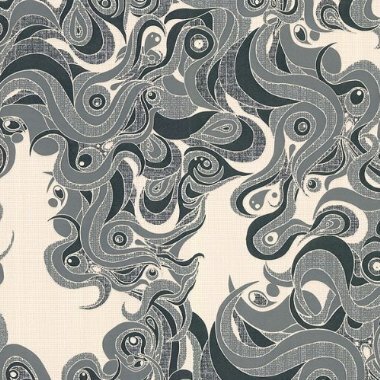 Also a strong contender is Graham & Brown's fabulous Swirls pattern. It's a bold look, and although I love it now, I do wonder if I might tire of it after a bit. My remaining option is Graham & Brown's lovely Victorian Effect paintable pattern. 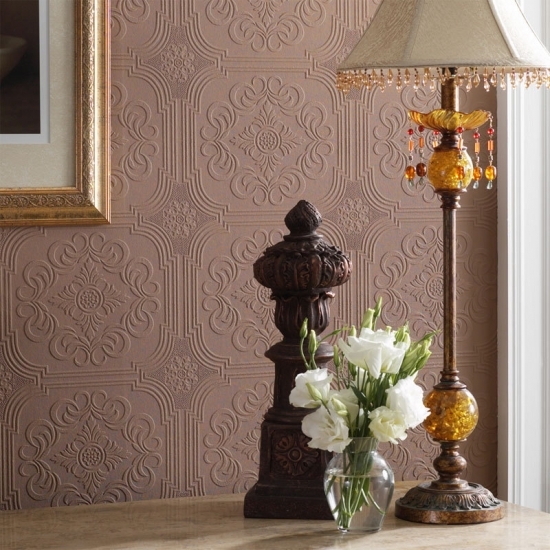 The wallpaper comes white with the embossed design, and you can paint it any color you want. I actually love the idea of an all-white bathroom, and it's definitely the practical choice since I can easily change the color later on, but I'm worried that I'm missing out on my chance to do something really fun with this room. So there you have it, my wallpaper dilemma. Which would you choose? I would probably go with something similar to the Pedal Pusher, but the price, YIKES! I like the fact that the victorian effect is paintable, and you'd probably get the most bang for your buck. 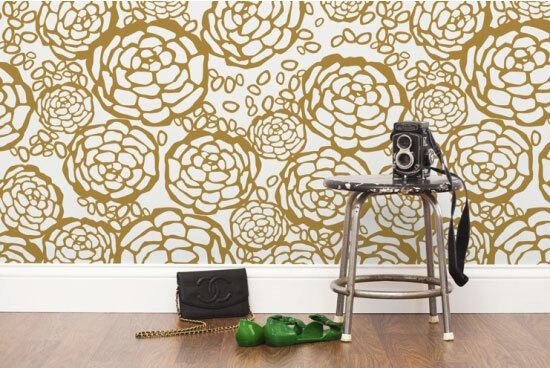 Have you considered painting your own pattern on the wall? Thanks, Christin! The main reason I'm going with wallpaper is because there's already wallpaper up, so even though I'll remove the old stuff before putting a new wallpaper on, this way I don't have to worry about getting the walls perfectly smooth. I have done so much re-mudding and patching and sanding on the walls in this house, I'm kinda over it. Otherwise, a painted pattern would be very cool. you know what i think. do it. My favorite is the Swirls pattern! Thanks, Melissa! That black and white damask is lovely... and the pink would be so cute in a girls room!